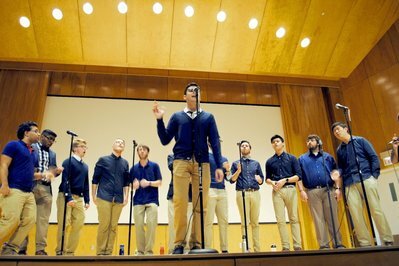 Established in 1999, CDN is UConn's oldest all-male a cappella group. Their repertoire ranges from R&B to Classic Rock, from Maroon 5 to Billy Joel. CDN likes to stay true to our name and keep things "completely different". In the past few years alone they've traveled the East Coast, the Great Lakes and everywhere in between. CDN looks forward to growing their name, their fan base and raising money to produce their fifth studio album! They are honored to make their SingStrong debut! @CDNUConn at Facebook and Instagram. 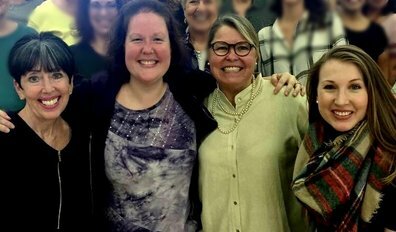 Sarah, Kim, Harriette, and Leigh Anne, Harmony Quartet has been together since October 2016. While there is some individual experience and championships within the group, they are very new and excited to share their love of singing, barbershop harmony, and each other with the world. They will be competing in their first NY/NJ Regional Competition in April 2017, and are looking forward to all that lies ahead! Not only is this their SingStrong debut, but this is also their very first public performance! Since 2014, the women of looping duo HOWL have been delighting audiences in New York and New Jersey with their uniquely lush sound. Allie Reeves and Honor Friberg use live looping technology to layer vocal instrumentation, vocal percussion and harmonies in real time to create enchanting and innovative arrangements of original songs, covers and mash-ups. They perform songs ranging from originals, to contemporary pop hits, to songs from their childhood musical roots in the 90s. This year HOWL performed as the opening act for Deke Sharon's Vocalosity at Bucks County Playhouse, were featured on Acaville Radio's #TheSpotlight, and are looking forward to having an original song featured on an upcoming episode of the podcast "The Brothers Mysterium". They are thrilled to be performing for a second time at Singstrong NY! @HOWLacappella at Facebook and Twitter. The New York Belles formed 10 years ago at Five Towns College. Samantha Priore , Eden Orshan and two friends from school started "The Jingle Belles" , primarily performing at holiday functions. The name has changed to the New York Belles and they now perform at all types of events! The current line up includes Renee Orshan (Eden's sister) and Ameerah Kindle from Denver Colorado. The four have become peas in a pod -just what a group needs for great blend. 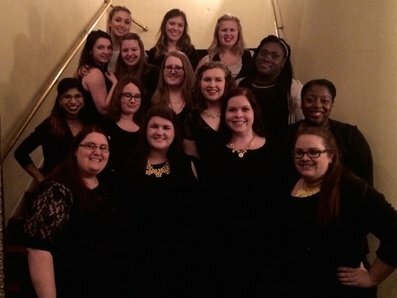 The ladies are excited to make their SingStrong debut! The MIT Ohms are MIT's electrifying South Asian A Cappella group. They enjoy singing mash-ups of Western and Bollywood songs, and they recently released their first album, Resistance. available on Spotify, iTunes, Google Play, or at ohms.mit.edu! This is their SingStrong debut! 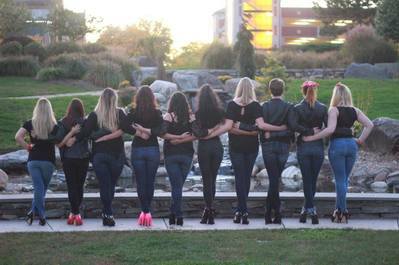 Based in New Britain CT, TGFI is a fun, fierce, all-female a cappella group from Central Connecticut State University. They say, "We may look cute in our all black everything and pink accessories, but whats really beautiful is our passion to share our love of music with others." 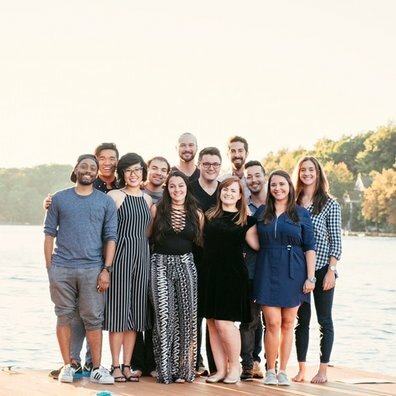 ​@tgfiacappella at Twitter and Instagram.